Oracle Corporation cloud services portfolio include a number of services offered on subscription. The company is adding seven new products to their services. 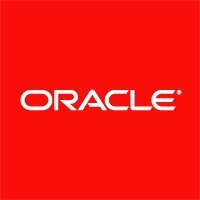 The latest move is part of Oracle’s aggressive growth strategy to offer cloud services to their customers. Over 10,000 customers rely on Oracle’s Cloud services. The platform draws more than 25 million users from different parts of the world on a daily basis. The newly introduced services include data and insight, planning and budgeting, financial reporting, social media, developer, storage and messaging. Oracle’s Cloud services are based on a monthly subscription model with customers have the option to sign up for long term contracts. The company hopes to gain competitive advantage with its Cloud partner programs and enablement resources which were also unveiled recently. This should give their partners the ability to deploy cloud-based services for customers. Previous articleWhy not have iTunes for Android?